Another awesome birthday gift I received was this colorful vase from Anthropologie. I am definitely digging the color combo so I scouted out two nail colors to correspond with this theme. 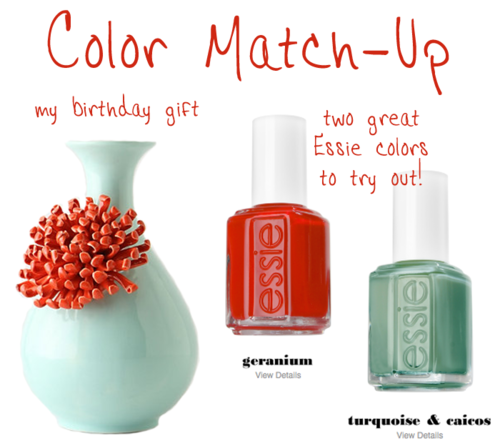 To see the vast collection of Essie’s nail polish colors, click here!